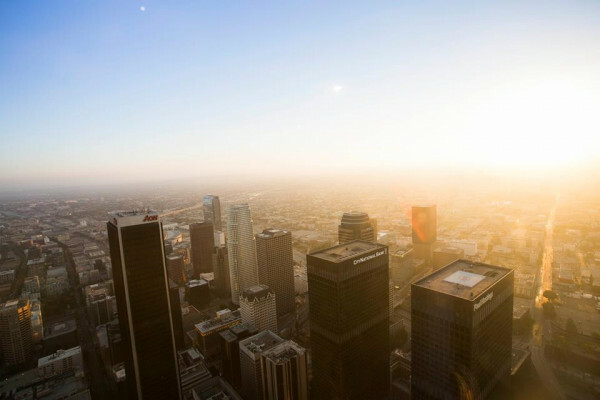 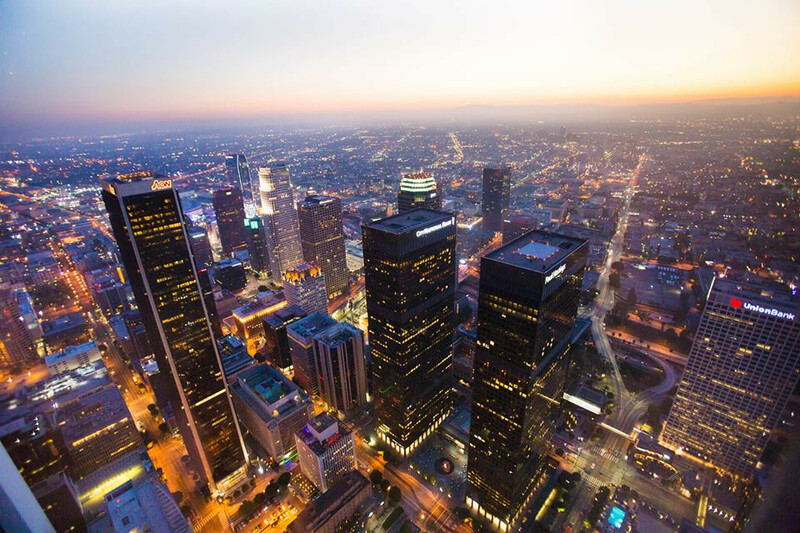 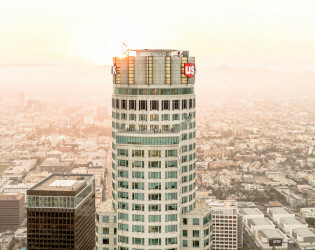 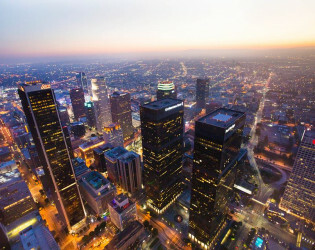 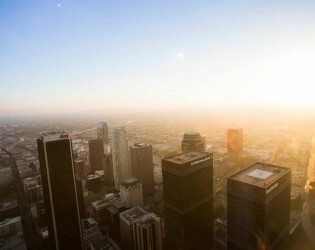 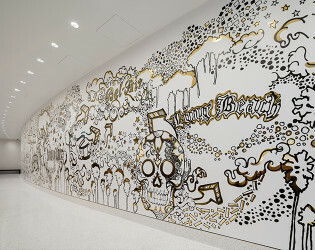 Photographer: Courtesy of OUE Skyspace L.A.
It’s good to be on top! 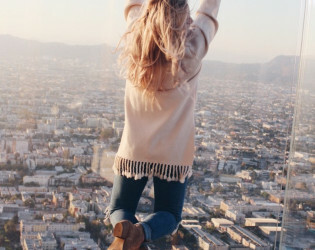 Check your fear of heights at the first floor folks because a party isn’t a party until it’s 1,000 feet above the sidewalk. 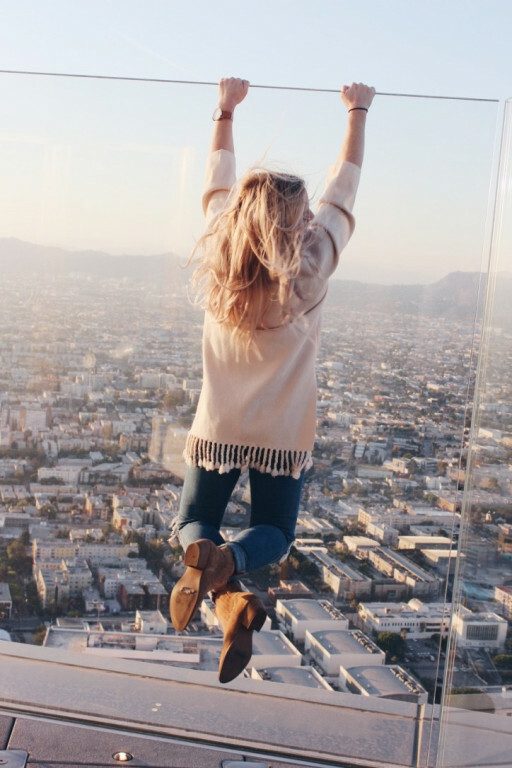 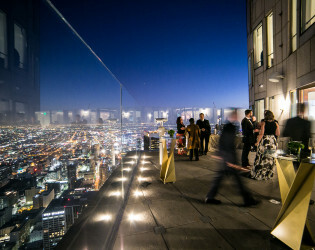 OUE Skyspace offers a sleek, modern space with breathtaking 360-degree views of the LA skyline. 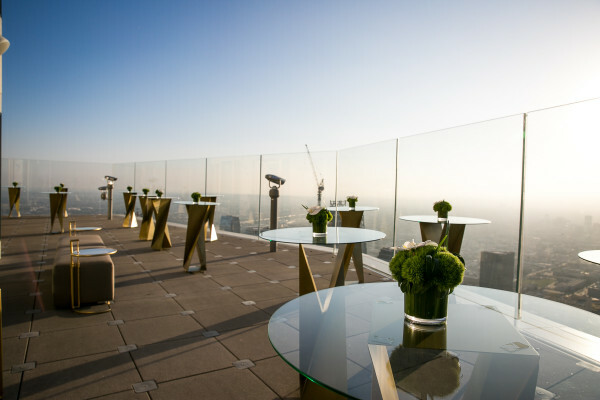 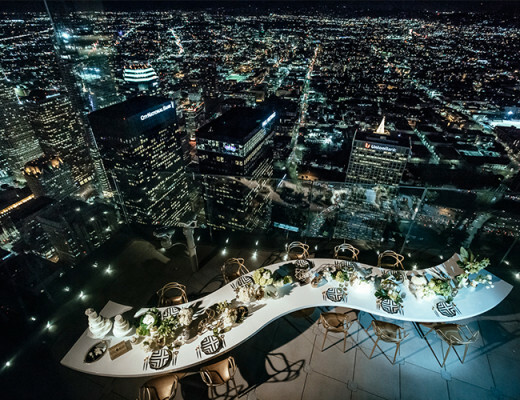 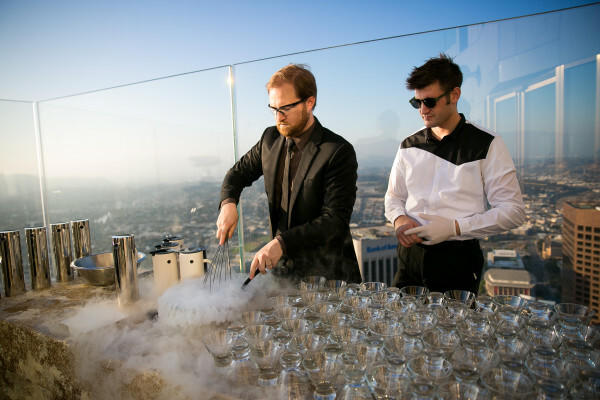 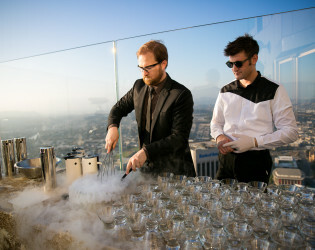 OUE Skyspace LA is California’s premiere private event space for panoramic, 360-degree views of Los Angeles. 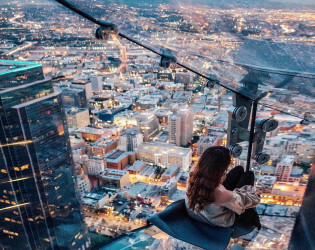 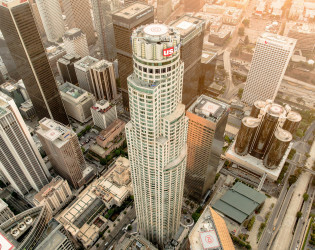 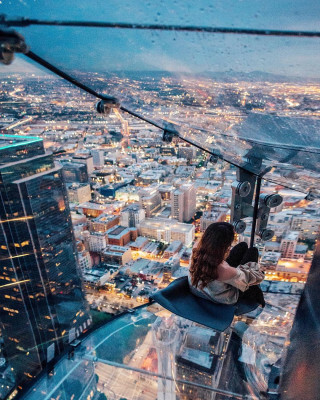 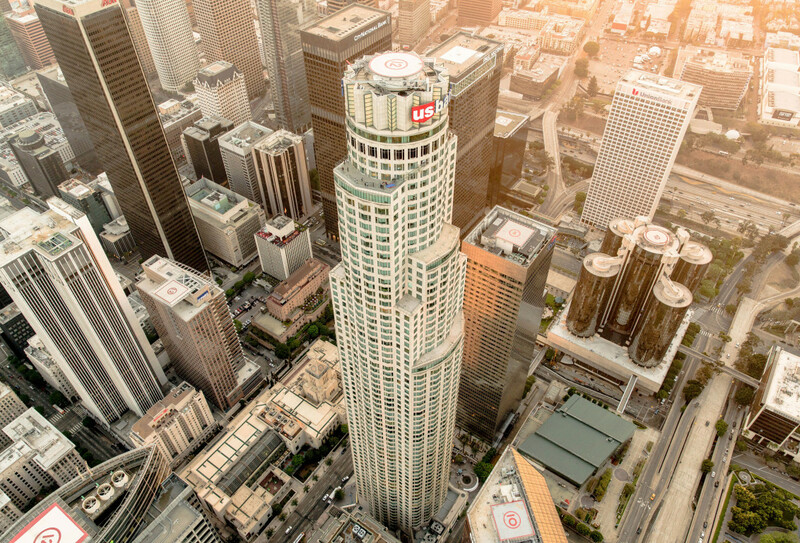 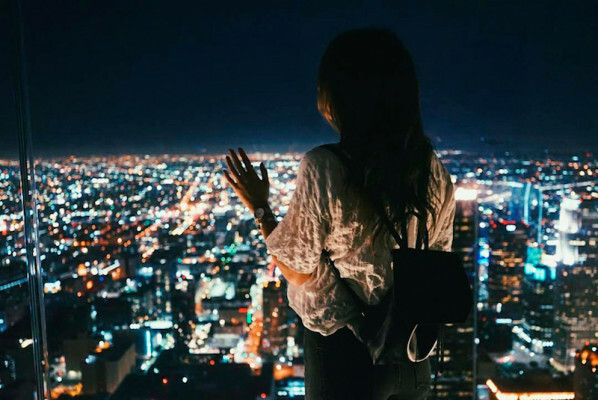 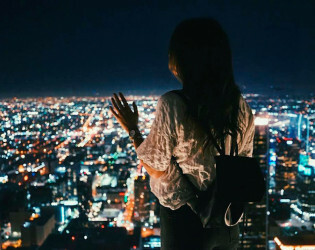 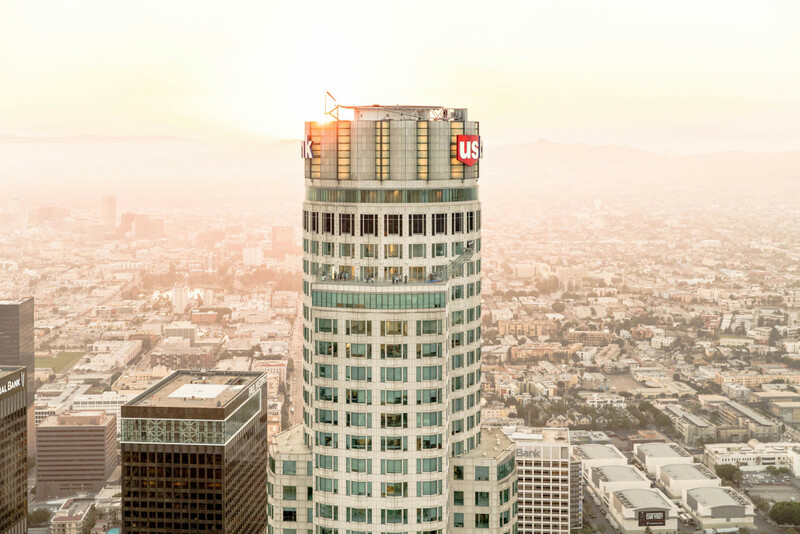 Perched more than 1,000 feet above downtown LA, in the iconic U.S. Bank Tower, guests are offered an unobstructed view of the city, from the mountains to the ocean. 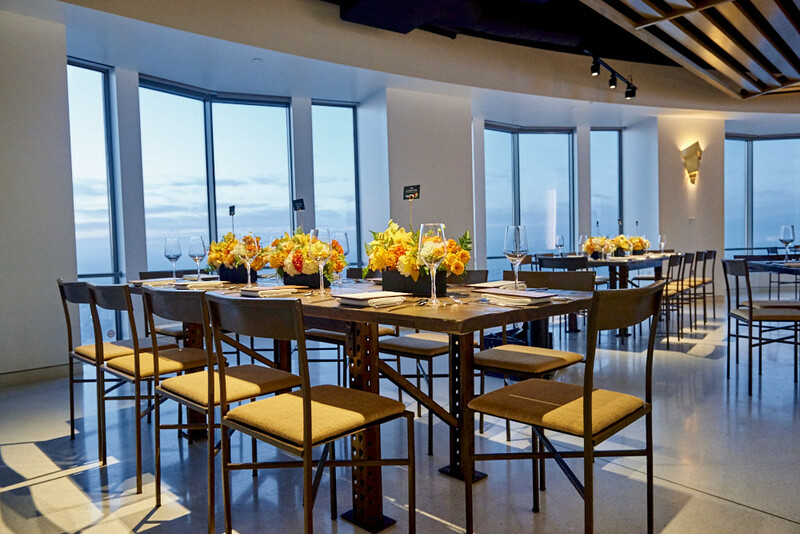 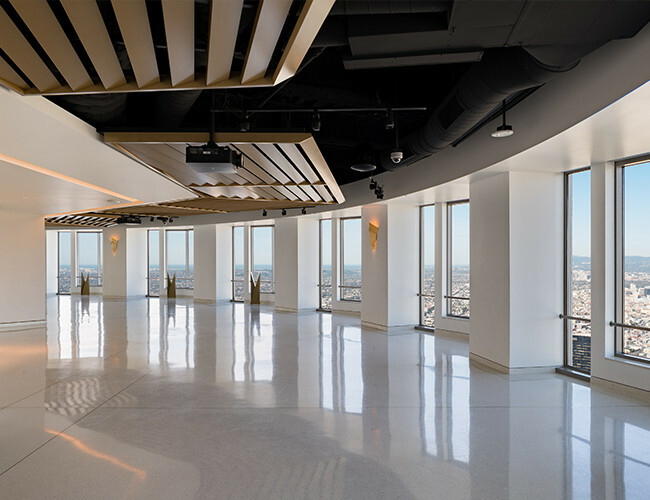 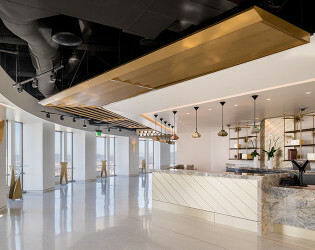 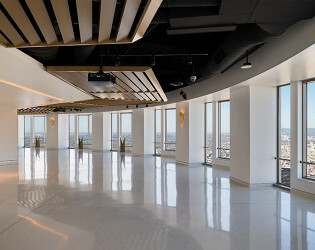 As the tallest building on the west coast, Skyspace LA's 70th floor can be transformed to host an array of custom events from weddings to corporate meetings to photo shoots. 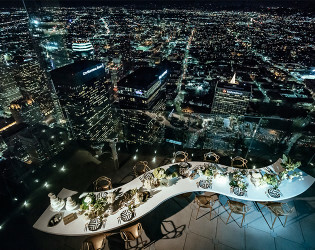 Perched 1,018 feet above downtown, Skyspace LA is the premiere destination for panoramic, 360-degree views of Los Angeles. 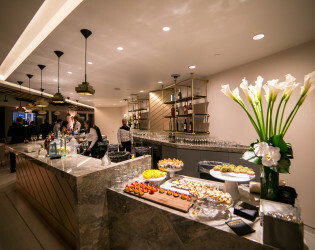 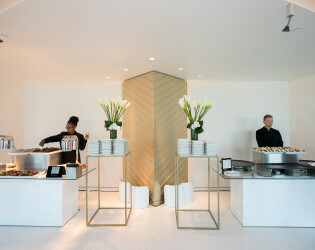 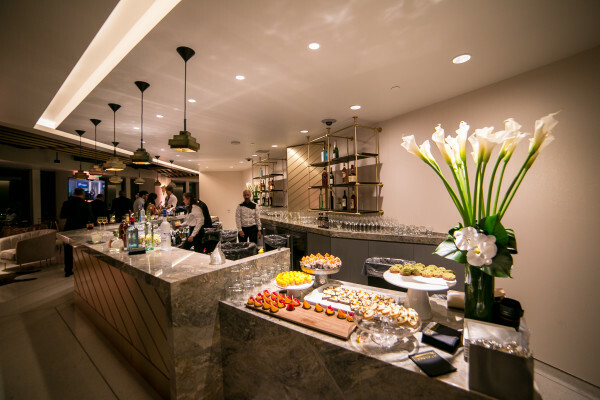 The sweeping cityscape, stretching from the California coastline to the famous Hollywood hills, is complimented by sleek and sophisticated interiors, providing the ideal backdrop for any private event. The interior aesthetic features an elegant minimalism that incorporates white stone and gold accents as sleek compliments to the stunning 360-degree views of Los Angeles. 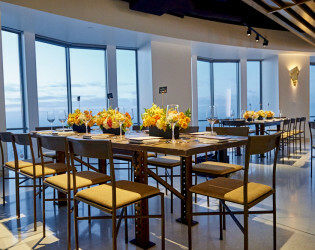 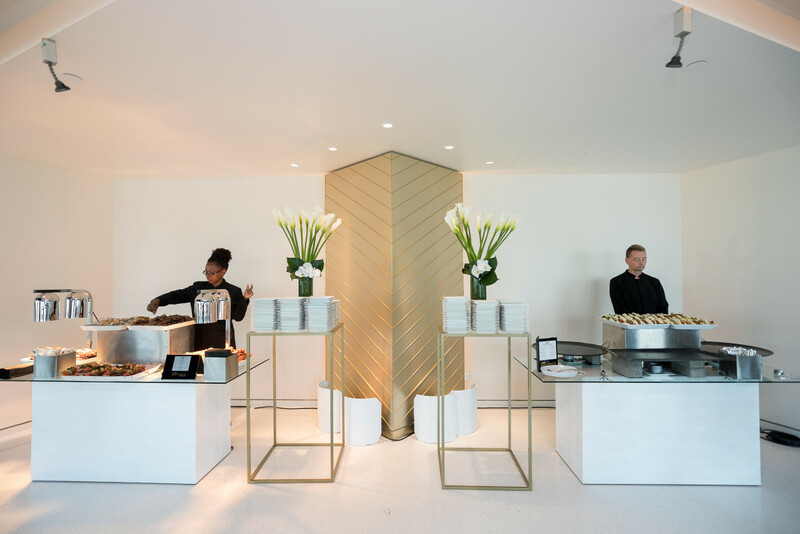 Further, the ultra-flexible space is customizable for any event aesthetic or theme, from over the top corporate events to intimate weddings, with a classic elegance that lends itself perfectly to all tastes. 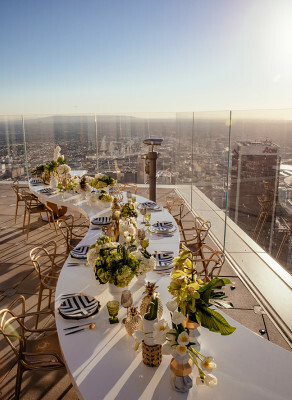 Elevate your private event, quite literally, by offering your guests a complete view of the city, from the San Gabriel Mountains to the Pacific Ocean, any time of year. No other event venue in Los Angeles offers unobstructed, 360-degree views of the city, from the San Gabriel Mountains to the Pacific Ocean. 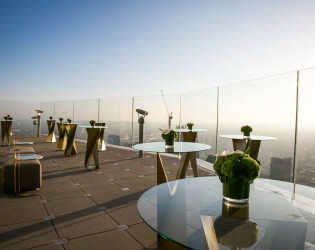 But the Skyspace LA helipad takes the venue to a new level, providing the ultimate bird's eye view of Los Angeles. 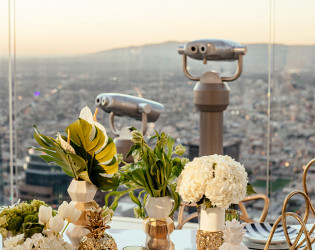 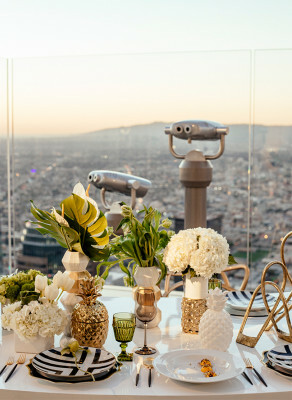 With the entire Los Angeles cityscape as your backdrop, the sky-high event space is the ideal setting for unforgettable event photos, commemorating your special occasion with a truly over-the-top view. Awards & Notables OUE Skyspace was the winner of the 16th Annual Downtowners of Distinction Award for the Financial District. 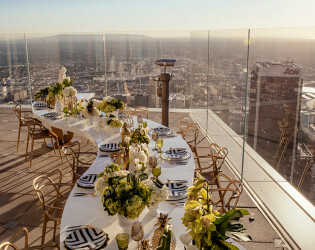 OUE Skyspace LA was nominated for ‘Best Indoor Venue’ by California Wedding Day Magazine's Best Of Awards. 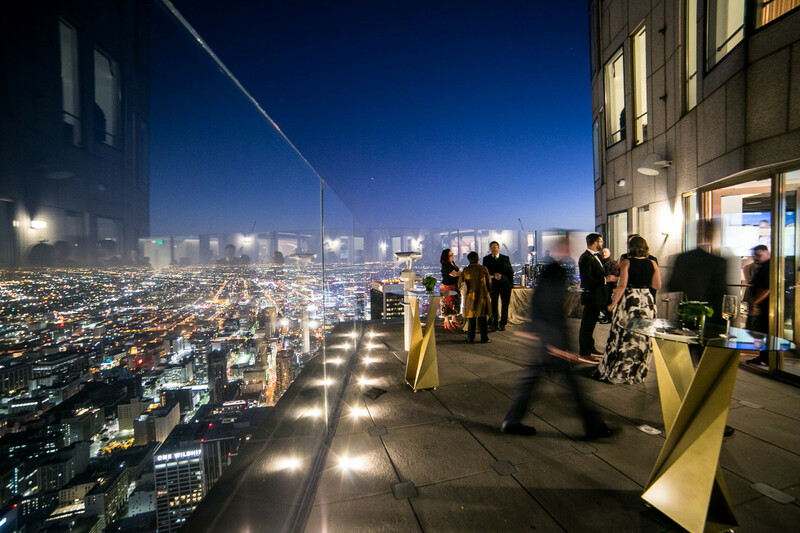 OUE Skyspace was the Recipient of the Best of California Meetings + Events Award.